Berry Love was an early prototype that never appeared in the shop. I was lucky to get my hands on it! It has the original shiny, jelly-like TFL formula. 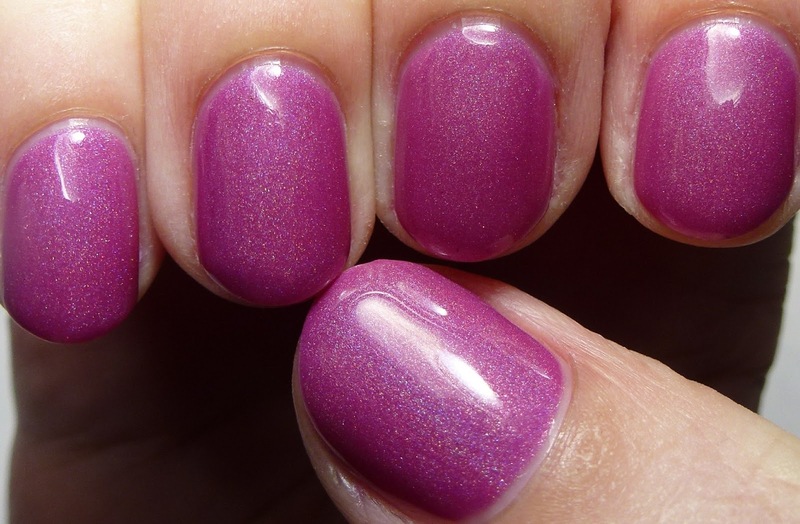 Scattered holographic shimmer in a cool berry pink jelly base. Four coats. Many of the early polishes from the brand are jellies, but Charlene has moved away from that finish to an extremely opaque, vibrant formula. Nevertheless, I love the early ones, too. 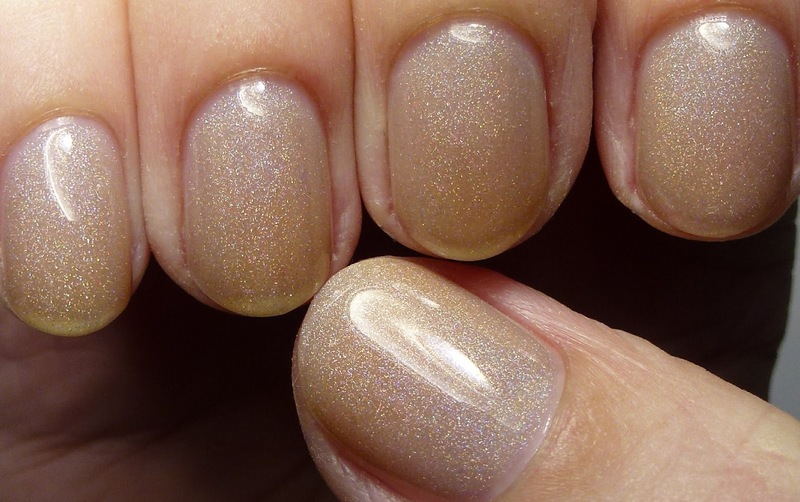 Champagne Cocktail (1st version) is a unique putty jelly polish. I really like this one, as it is a lovely subtle polish. Scattered holographic shimmer in a sheer putty jelly base. Four coats. Here is the re-release of Champagne Cocktail (New Version) as part of the Winter Sonata Collection in 2013 with the current Too Fancy Lacquer formula. 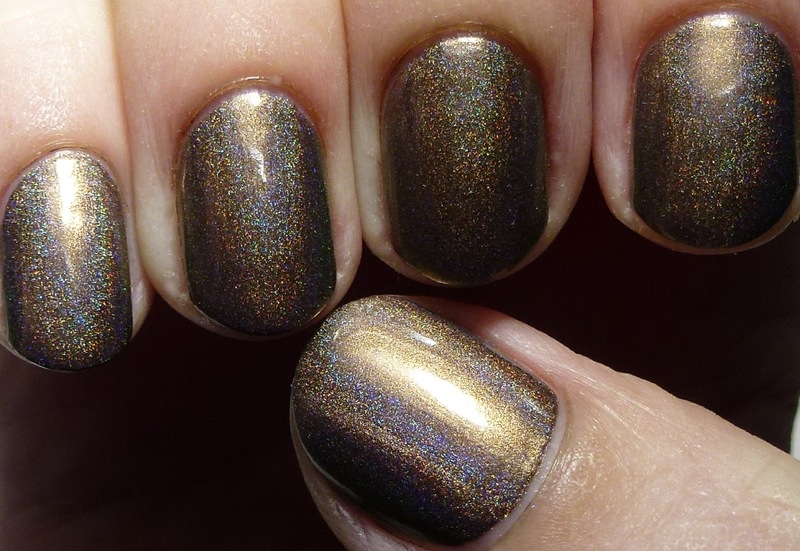 This time it appeared as a wonderful metallic with subtle duochrome. This is currently still available from Edgy Polish. 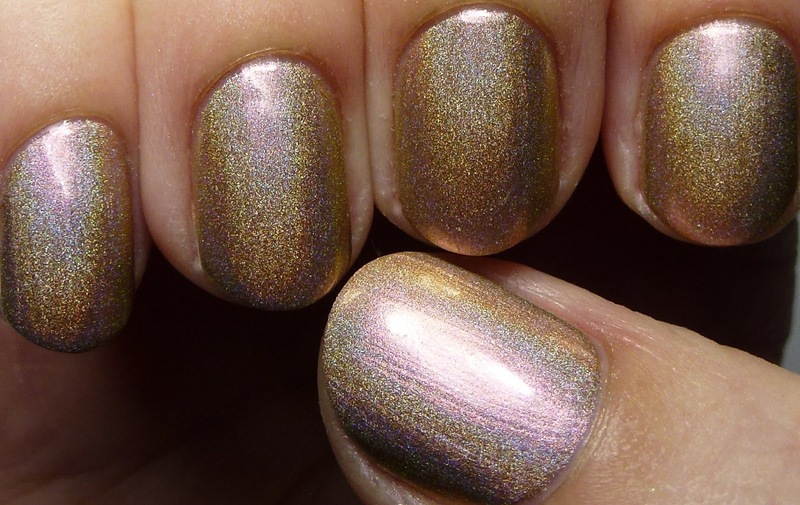 Linear holographic and pale pink to pale green multichrome color-shifing shimmer in a pale gold metallic base. Three coats. Chocolate Gold was another polish from the Winter Sonata Collection. Again, wonderful, smooth, opaque formula. You can find this one at Edgy Polish as well. Linear holographic shimmer in a cool gold-bronze metallic base. Two coats. Come To The Dark Side (1st version) originally had a plush, jelly-like effect. 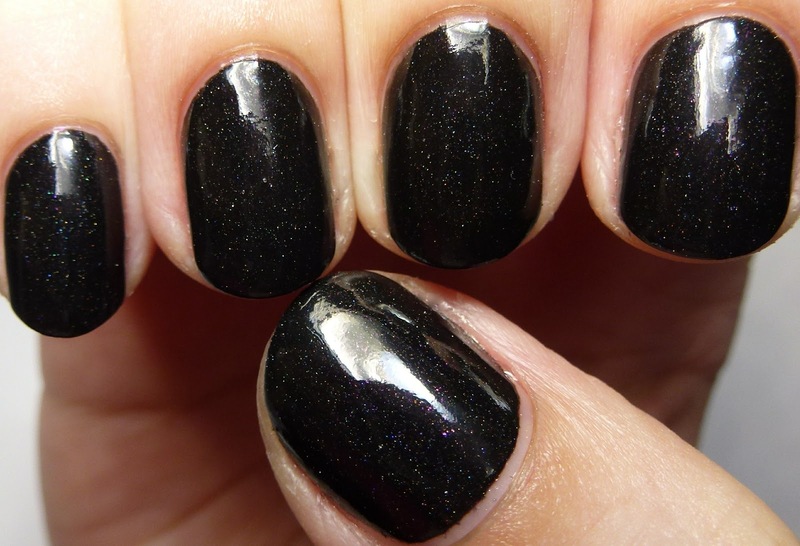 It has been revised to the new formula and is carried by Edgy Polish. Scattered holographic shimmer and pink-to-gold color-shifting flakes in a black base. Two coats. Finally I have Distance & Time, which was part of the Summersault Collection soon after TFL moved to its own Bigcartel site from Etsy. 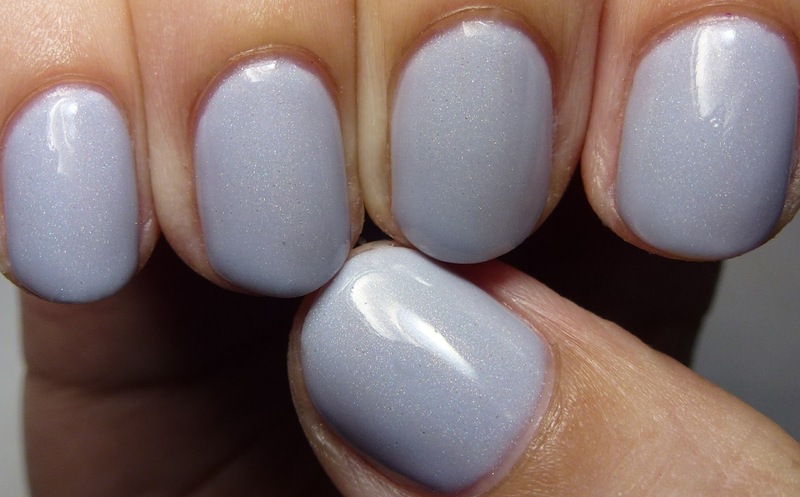 Scattered holographic shimmer in a light blue-gray base. Four coats. 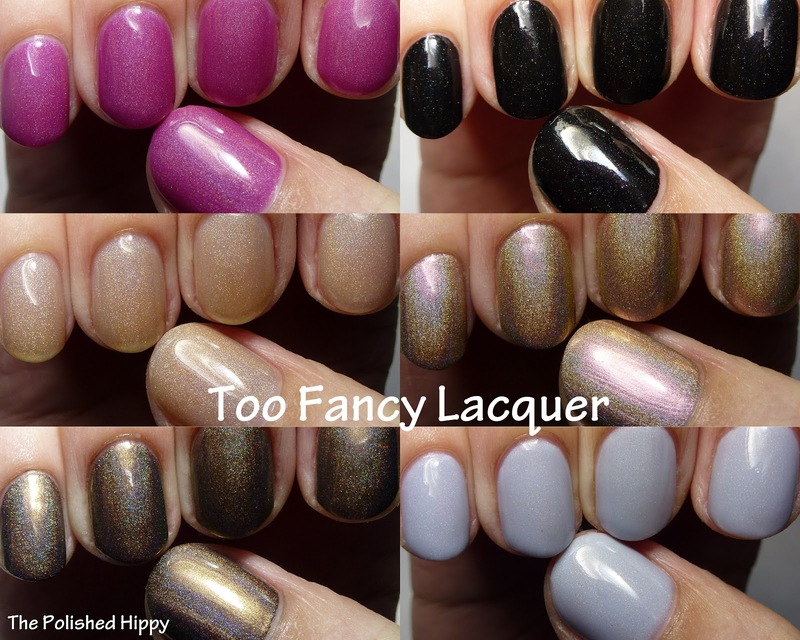 Too Fancy Lacquer varies in price depending on the retailer and finish (ultra holos are more). Sometimes you can find vintage shades for sale on Facebook or Storenvy so you might just luck out on some of these early ones.